I will be the first to admit that there are some superstitions that have been so bred into me that there is no getting away from them. I know that there is no sense to them, and I laugh at myself while doing it, but I still won't let a black cat cross the road in front of me, I don't walk under ladders when I can help it and I knock on wood every chance I get (and if not on wood, then on my head, because, as the joke goes, it's hollow like a tree... ha. ha. ha. thanks, family, for that one). One deeply ingrained superstition is not to talk about how sweet life is because you will jinx it. So, I won't talk about it. I won't say how blessed I am to have my husband, my family, my friends, my work and my hobbies. I will just think quietly about how the light hits my living room in the morning just so and the top stair creaks in ways that I think are charming at 3pm but I curse at 3am. I won't even begin to contemplate the color of Gala apples and the leaves outside of my window, bright red and tinged with gold, the sweet smell of earth after the rain (I did a rain dance, and it worked) and blue eyes crinkling with laughter. Other people can talk about it, can shout it from the roof tops, but not me, no sirree. I will instead brush the flour off my apron and talk about food. "If music be the food of love, play on," said the Bard, and I play on because the converse is also true. This recipe is fantastic. I know that pumpkin type dishes are usually made for Thanksgiving, but my husband craves this cheesecake from about September to February, so it's a great thing to have in your arsenal, especially for those cold weather months (even in California, where 'cold weather' means that the thermometer dips below 65). It's easy to put together, bakes up beautifully and the taste is out of this world. It's a more European type of cheesecake - meaning that it's soft and fluffy, not dense like a New York style cake, which is something that I love. Delicately flavored with pumpkin and spiced to the hilt, it's an instant favorite. Preheat oven to 350F and prepare an 8 or 9 inch springform pan. Whisk melted graham cracker crumbs with sugar and cinnamon. Combine with the melted butter to coat all the crumbs lightly. Press the crumbs into the bottom and about two-thirds of the way up the sides of the springform pan. Bake for 5 minutes and then set aside. In a large mixing bowl, combine the cream cheese, 1 cup of sugar and vanilla extract. Mix until smooth. In a large mixing bowl combine the cream cheese, 1 cup sugar, and beat until smooth. Add the pumpkin, eggs and spices and continue to beat until very well incorporated. Scrape down the bowl really well after adding each ingredient. Pour the filling into the pan and bake in a water bath for 60 to 70 minutes. The top will turn darker and will spring back when pushed a little. The water bath is important because it keeps the cheesecake soft and creamy and also gives much needed moisture so that the crust doesn't crack, so don't skip that step (after the cheesecake is done, I drain the water into a heat proof bowl with a turkey baster before taking the cheesecake out of the oven). Garnish with whipped cream and a sprinkle of cinnamon (as you can tell, I went a little overboard with the whipped cream here... what can I say, my decorating skills are... um... evolving). i know what you mean about jinxing the good stuff! hope you are having a fabulous thanksgiving, this cheesecake sounds & looks scrumptious! i love these photographs! and of course anything pumpkin!!! mmm...i cannot get enough pumpkin spice during the holidays. this looks wonderful! Your pictures are absolutely beautiful! I made a Pumpkin Pie Cheesecake. It was really good, but not what I was looking for. The filling was overwhelmed by pumpkin taste, and if it was not for the cream cheese frosting, it would have been just a rich pumpkin pie. The crust was also a regular pie crust. My hubby is coming home soon, so I will make him this version! Thanks. I love your pictures...& your confessions too. It's not easy to put feelings & thoughts into words, but you have the knack! The cheesecake si absolutely precious Irene...YUM!! 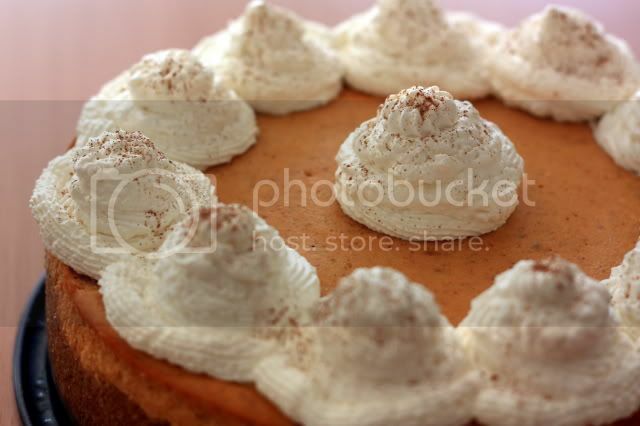 As for the pumpkin cheesecake - simply gorgeous. I am still trying to get accustomed to pumpkins in desserts! 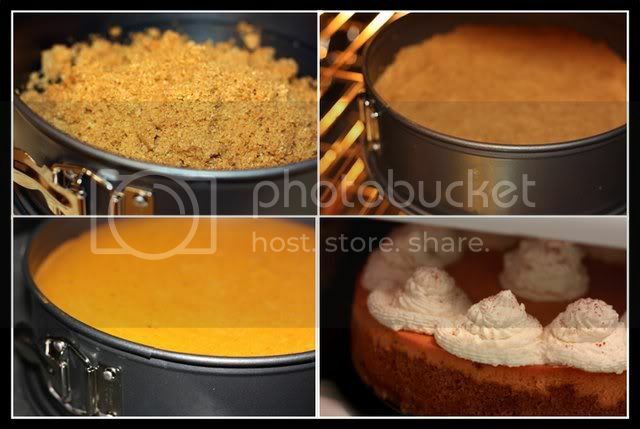 I have neve rmade any sweet dishe with pumpkin, this cheese cheese cake looks really yummy. That's a great looking cheesecake! What a perfect cheesecake, Irene! And wonderful photographs! Gorgeous Irene. 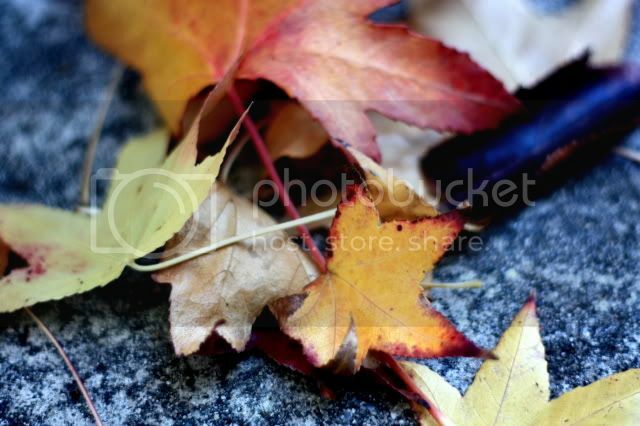 What setting did you have your camera on for the last leaf picture? Really stunning. Thank you, everyone! Syrie, that's one of my favorite pictures out of all the ones I've taken. 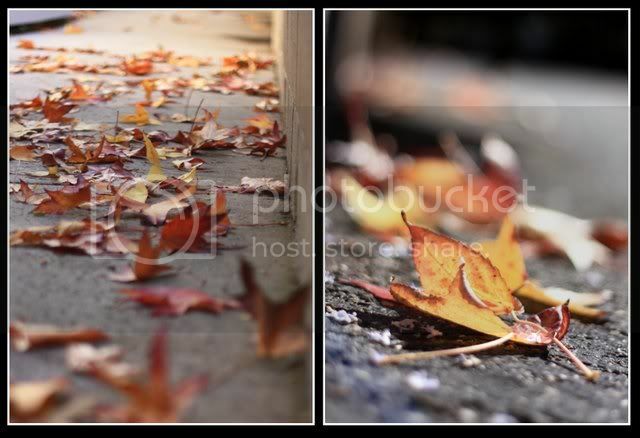 I had my camera set for f/1.8 on my 50mm lens and I probably also cranked up the contrast to bring out the shadows. The light that day was ethereal and made everything glow.